As Allen’s team was videoing the debris field, one of the experts made a comment that astounded me: there are no blueprints, drawings,or other pictorial descriptions of the Musashi still in existence. The experts were identifying items on the Sibuyan Sea floor using drawings from the Musashi’s sister ship, the Yamato, which had a slightly different design. The commentators were able to identify almost all of the various features of this ship, even after it has lain on the ocean for seventy-one years. What they couldn’t immediately identify, these experts were able to surmise after brief conversations—an unbelievable and fantastic discovery! As I mentioned last week, the Musashi was one of the two largest and most-powerful battleships ever built. The Musashi was sunk in the Battle of Leyte Gulf, which was fought between October 23 and October 26, 1944. By the time the Musashi and its sister ship, the Yamato, were launched into the Pacific War, they were already obsolete. In last week’s blog, I speculated that gold might be found in the hull of the ship. While the ROV (the Octopus vessel’s mini-sub) didn’t go inside the Musashi, I now believe it is highly unlikely that there is any gold on the ship . . . if ever there was. Considering the gigantic battleship broke into two sections separated by this debris field, there didn’t appear to be any evidence of gold. The ROV was steered remotely from the surface both manually and with a computer to lock it in to help stabilize the video quality. What is phenomenal about that is the ROV was operating in over 4000 feet of water. The video was of the highest quality; all-digital, high-resolution, with incredible zooming capability. The lighting requirements to make the targets show up were also of the highest quality. In the late 1980s and early 1990s, I was consulted for a company designing and testing downhole cameras for oil and gas wells that would work under high pressure and high temperature. It was a very expensive, tedious project. Here the design would call for high pressure, but operate in very cold temperatures. The process and testing they must have gone through to get to this level of sophistication must have been significant. At the end of the video presentation, all the ship’s crew stood in a moment of silence honoring the men who had served on the battleship Masashi. This was a class act, especially considering the Musashi was once considered an enemy vessel. In this week’s news, there was an announcement that a group of innovated explorers, including Paul Allen, co-founder of Microsoft, discovered the World War II sunken Japanese Battleship M usashi. Big congratulations are due the innovative team that spent eight years hunting for this sunken battleship in over 4000 feet of water. 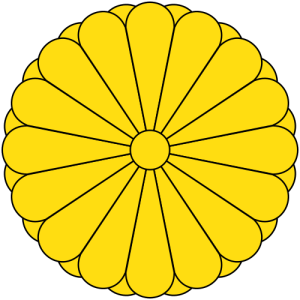 One of the key markers on this discovery was the Japanese Emperor’s chrysanthemum seal, which is a sixteen-petal flower. Each petal had a special meaning to the Japanese Emperor Hirohito. According to Kazushige Todaka, a Japanese Historian, the chrysanthemum seal was unique to only three warships built by the Japanese during World War II. The Musashi was one of the two largest, most powerful, battleships ever built. By the time the Musashi and its sister ship, the Yamato, were launched into the Pacific War, they were already obsolete. The Pacific War had quickly evolved into battles between planes launched from aircraft carriers not in sight of one another. In reality, these battleships only represented larger targets for the United States and Australian Fleets to attack. It should be noted that the third ship in this class was a converted aircraft carrier, and not specifically built as a battleship. These explorers used the M/Y Octopus exploration vessel, in conjunction with historical research provided by four countries, to make this discovery. Additionally, they used some undisclosed “advanced technology” to survey the seabed of the floor of the Sibuyan Sea, which was also a critical factor in this exciting find. The battleship Musashi was sunk in the Battle of Leyte Gulf, which was fought between October 23 and October 26, 1944. It was the largest naval battle of World War II. This proved to be the final blow to the Japanese Navy, thus to the country of Japan’s war effort. The Battle of Leyte Gulf ensured American maritime supremacy in the last months of World War II. The previous destruction of Japanese naval air power in forced the Imperial Navy to prepare for a decisive battle using only surface ships. To set the stage for this sea battle, on October 20, the US and Australian armies began landing 130,000 troops on Leyte Island. The Japanese plan called for their carriers to decoy Admiral William F. Halsey’s Third Fleet away from the Philippines, allowing Japanese warships to converge on and destroy the American ships supplying the landing for US and Australian armies. There is one other very significant cost of the loss of the naval battle at Leyte Gulf: it was the fatal blow to the Golden Lily Group. Up until the US and Australian forces landed at Leyte Island, the Japanese were still bringing in vast amounts of gold and treasures into the Philippines. This was the reason the Japanese threw the remainder of their Navy into this battle, to keep these islands and sea lanes in their possession. As late as August 1944, Hirohito and the advisors still believed that, despite the fact that they were clearly losing the War, they could inflict so much damage to the United States troops that they could negotiate a conditional surrender, possibly retaining the Philippines. Recently when the production company World Media Rights, filmed the Myth Hunter’s documentary “Yamashita’s Gold”, in which I was privileged to be included as one of the expert commentators, they left out some of the tangential facts regarding the Battle of Leyte Gulf. The Golden Lily Group still had tunnels to be engineered, dug and mapped using the Kungi language, in which they buried stolen war gold. These tunnels were subsequently booby trapped and re-buried. The Golden Lily Group had to accelerate their operation at all levels, plus hold the advancing US and Australian armies at bay. Up until the landing of the US and Australian troops, the Japanese were able to methodically bury the gold, currency, and treasures, but as the US and Australian armies begin to retake the Philippine Islands, the Japanese could no longer be as thorough. It would not come as a surprise to me, giving my years of research on this subject, if a large amount of gold is discovered on this sunken battleship. Why else would you spend eight years and so much money looking for an old sunken battleship? I’d love to know your thoughts on this fascinating subject. Please continue to subscribe or return to my blog site, as I will continue to provide commentary on this dramatic recovery. Again, I congratulate Mr. Allen and his team for their significant historical find.